What's Floating on the Schuylkill River? What's Up With the Bright Balls in the Schuylkill River? What’s floating in the Schuylkill River? In simple terms, it’s an art project. Mural Arts Philadelphia teamed up with Bartram’s Garden to create the Art@Bartram’s art exhibit that displays floating buoys to help represent the shift of tides in the Schuylkill River. 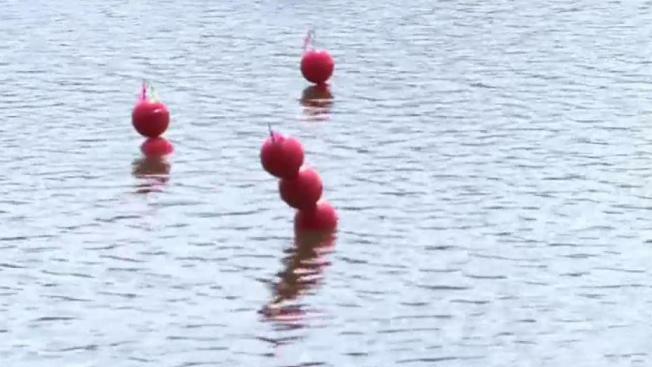 The first installation named Tide Field is a series of buoys that are current-driven aimed at showing how much the river changes throughout the day and night. Another exhibit named River Rooms is a set of look-out points along the Schuykill's banks designed to give people the ability to interact with the river and view these changes. When the tide rises, the red buoys can be seen, and when the tide lowers the green and blue buoys remain afloat. Stacy Levy, the artist behind the project, grew up along the Schuylkill and says she was amazed by the 6-foot tides that occur on the river. She says she decided to come up with an interesting and artistic display to show off this natural occurrence. Other than being an effective illustration to the public, this project also intends to enhance, connect, and bring awareness about the Schuylkill River and its surrounding landscape.